Construction workers are basically powerless without their tools and equipment, whether it’s to carry out a simple task such as transporting sand or something complex like breaking concrete, they need their tools and equipment in order to execute the work.These tools are exposed to dirt and mud all the time, while they are designed to be resilient and withstand harsh conditions they still need proper care and maintenance to be able to use it effectively and efficiently, plus improper care can make wear out the pieces of equipment over time and can give rise to more injuries when using it. Moreover, regular maintenance of these tools can save you a lot of money, you won’t have to spend money on repairing and you might even be able to sell the equipment for a good price if it’s still in a good condition. 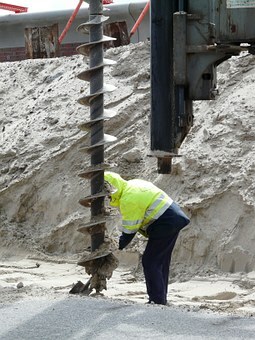 Tools like auger drill bits Melbourne can be used for a really long time since their drill bits can be re-sharpened but keeping them in inappropriate places can lead to rusting, thus losing its value and purpose. So, you see, it is vital to take good care of these tools. Many of us are guilty of throwing away the manufacturer’s guidelines instead of reading, I know they can be boring but nobody can teach you better on how to maintain your tools than the manufacturer. This is important, many people fail to replace a part when it’s wearing out, let’s take a submersible trash pump Melbourne for example, it is a tool used to remove muddy water, the impeller is susceptible to damage and might need to be replaced but most people try to jerry-rig it and continue to use it instead, this wouldn’t work and can cause more complicated issues later on. This applies to all the tools and equipment, we can cause a bigger damage to the equipment by ignoring the small damages thus rendering perfectly good equipment useless. Just because these tools are strong and resilient, it doesn’t mean that you can keep them anywhere especially in moist conditions. Try your best to keep them in their original cases and place silica gel packs inside the case to control the moisture levels. Rusting is the number one enemy for many tools. Tools need to be lubricated on a regular basis to decrease the risk of corrosion especially air tools.